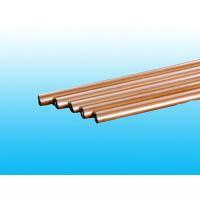 Home Companies CHANGZHOU WUJIN SHUNDA PRECISE STEEL TUBE CO.,LTD. 12. place of origin: changzhou city, jiangsu province, China. can mainly used in compressor of refrigerator and other heat exchanger.blast protection performance good ,copper welding between two layer ,size is complete ,good quality according ASTM-254 .